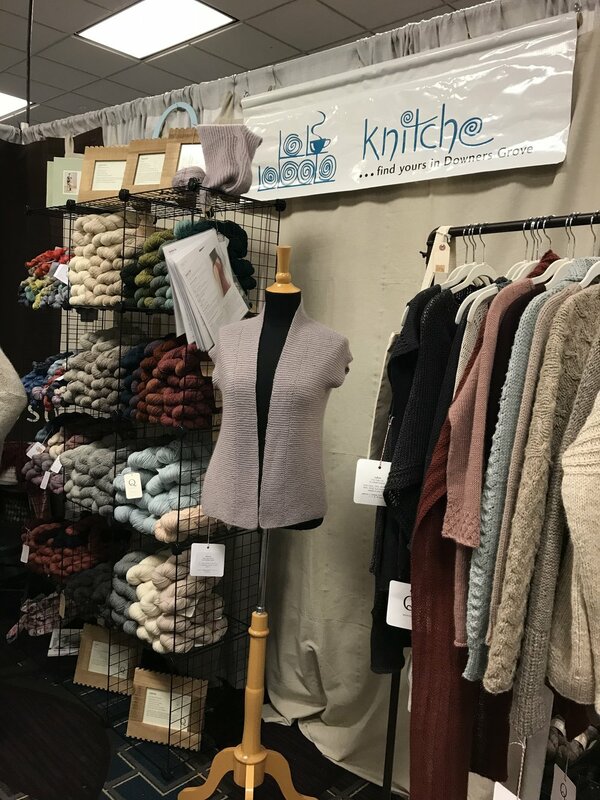 Ok now, I have to tell you that I am still reeling from fiber inspiration and energy and all the amazing experiences that were part of my first Vogue Knitting Live New York a few months ago. So when I heard about VKL Chicago I thought - why not carry that energy right along and keep the fiber magic swirling? Plus it was my birthday weekend so I decided to make it a fiber celebration. I actually didn't hear about Vogue Knit Chicago until after I got back from New York. I wondered why it was low key, but was still just as excited to attend. 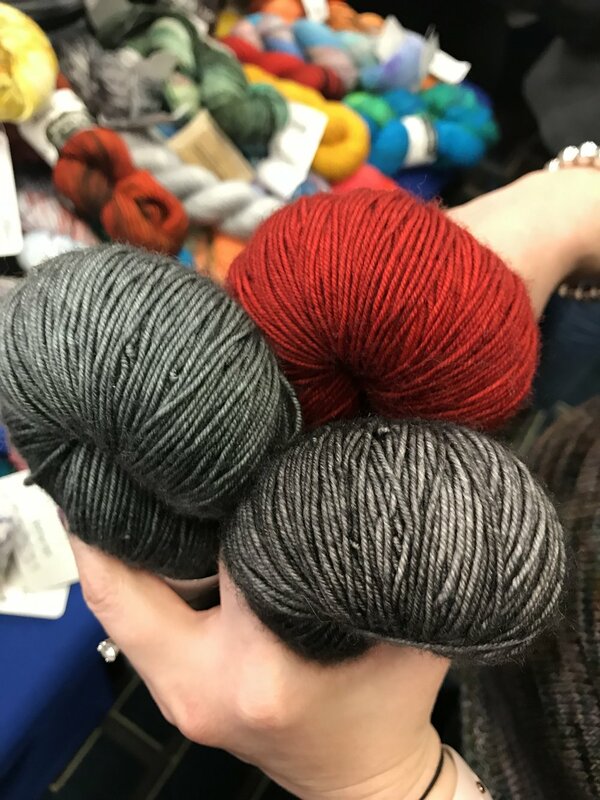 I later heard from a friend who owns a local yarn shop they planed it late, in December, and that could be why it was low key. Well, low key or not, it was still super fun. They had a variety of classes and many were different from the class offerings in NYC. I appreciated that it was not a rinse and repeat of thr New York class schedule and there were lots that interested me. I signed up for finishing classes with Keith Leonard because um... finishing is where it's at right? It was fantastic. The man is a WEALTH of knowledge and tips and tricks. In fact, I took two classes and learned so much. My knits are already showing improvement! Sometimes it is that one little thing, that Ah-Ha moment of "that is how yo do that" and it all clicks. Even though Keith's class was full to capacity, he took time to go around to EVERY student and review EVERY technique. It was lively and informative and I cant wait to go back for his advanced finishing course. I had signed up for an Intarsia class but had to skip it to prep for my Knit @ Nite event. That was a real tough decision because Intarsia is on the tops of my list to learn and master. I kicked myself for the poor planning of thinking I could squeeze in that class before my Knit @ Nite event. Next time I am ALL ABOUT INTARSIA! Saturday after class I hit the Marketplace. 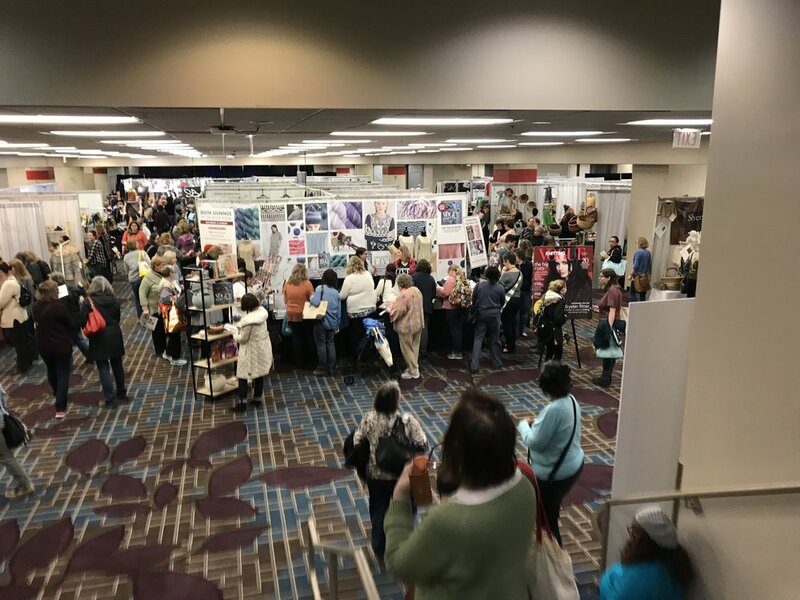 It was much smaller than the HUGE two full floors of shopping that is the VKL NYC Marketplace, but still full of wonderful vendors and fabulous fiber discoveries. One vendor discovery was Knitcrate. Have you heard of them? 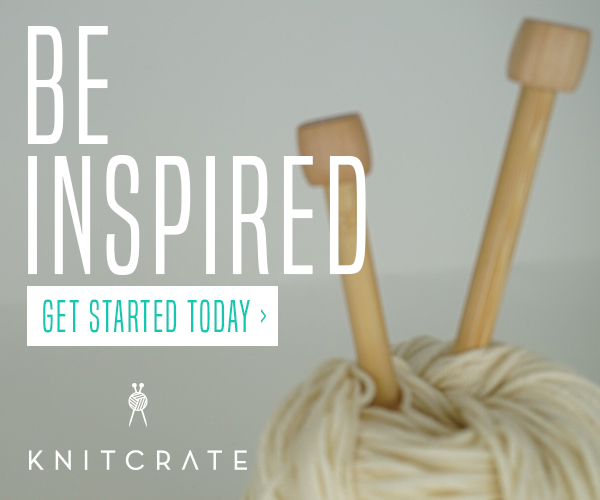 I had not and was so excited to learn that they are a knit AND crochet based subscription box. They work with artisans, designers and really seem to have brought something new to the table of subscription services. Not to mention they are based in Miami so of course I took a trip down memory lane and chatted with them about all things sand, sun and beach. Ah... it was awesome. I expect I will be hearing a lot more from Knitcrate in the future! 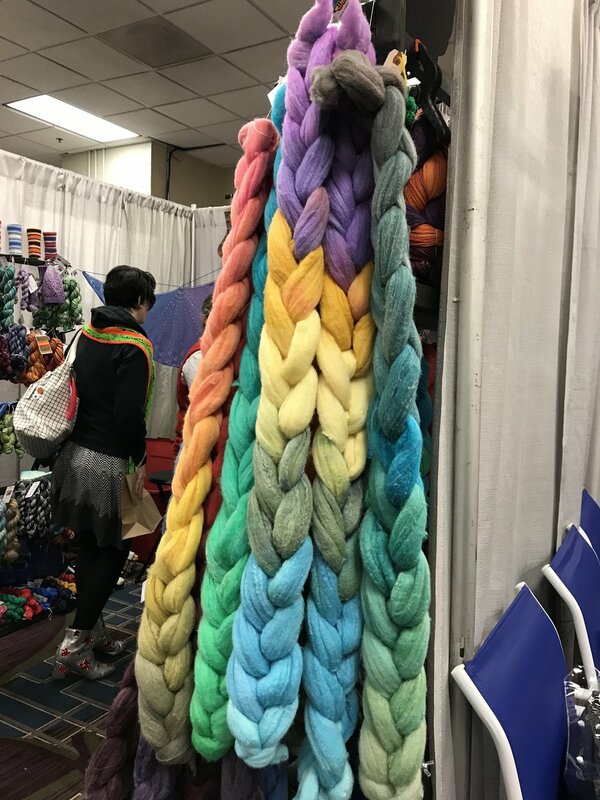 There were a few other fiber discoveries and of course I had to stop by and see friends. 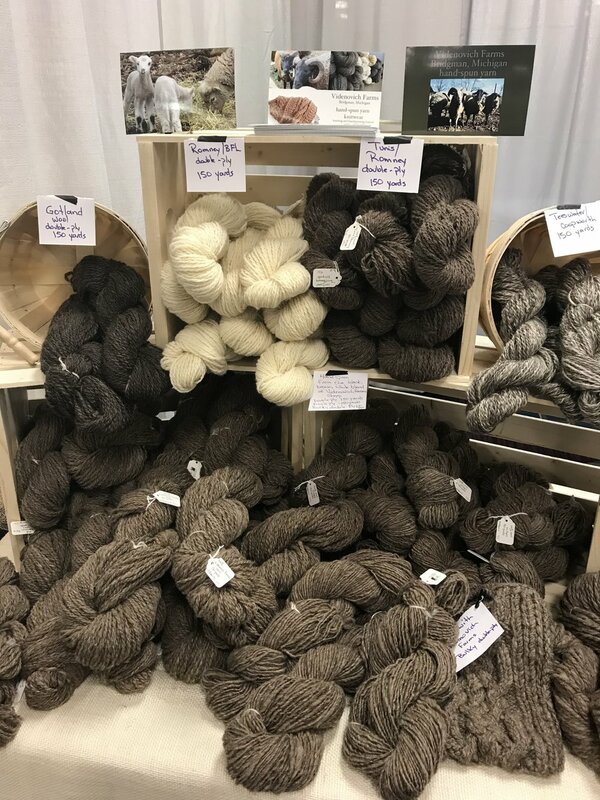 I tried several times Saturday to visit and shop at my favorite Yarn Culture NY but truly could hardly get into the booth it was so busy. It seems the secret is out on how awesome the fibers they carry are. 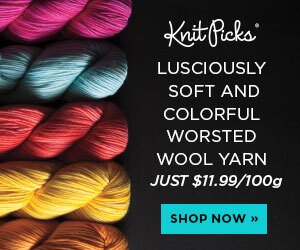 Yes, Rosy Green Wool is AMAZING!! Guess I will just have to order some. Across the way it was buzzing at Steven Be's booth also and it was nice to see so many shopping! The fashion show was not as ramped up and energized as I expected, and in fact I almost missed it. 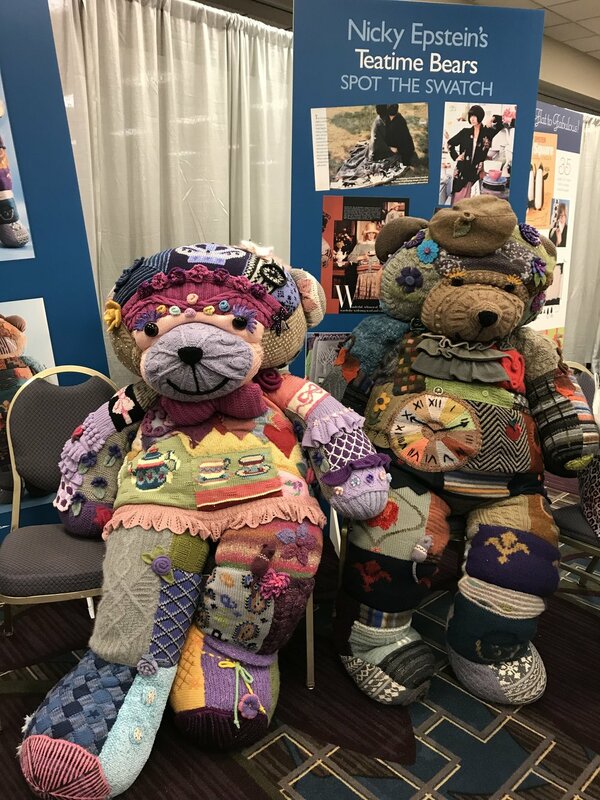 I was really excited to see they brought crochet along with the knits and I saw some pieces I definitely plan to make. Sunday came quickly and it was all over in a flash. I missed my morning class (sorry Patty Lyons) but before I darted off to support Jen Geigley at her book signing I took one more pass through the market. It seemed that several booths had already been picked clean or started packing early by the time 2pm rolled around. It was already getting those scarce load out and head home vibes. But of course, just like Vogue Knit Live in New York the most amazing thing about it all were the fiber friends. 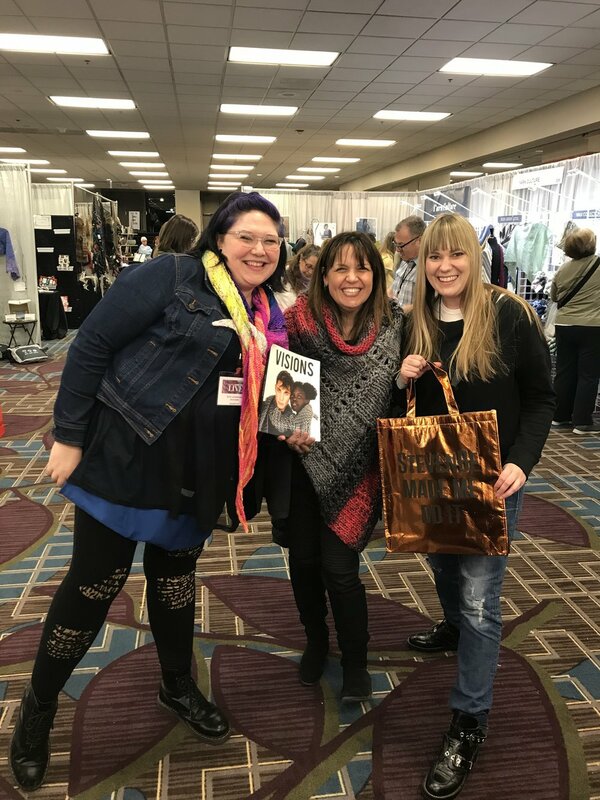 It was so fun running into fiber friends and making new ones and reminds me that whether big or small, it is the fiber family that makes these events so special. 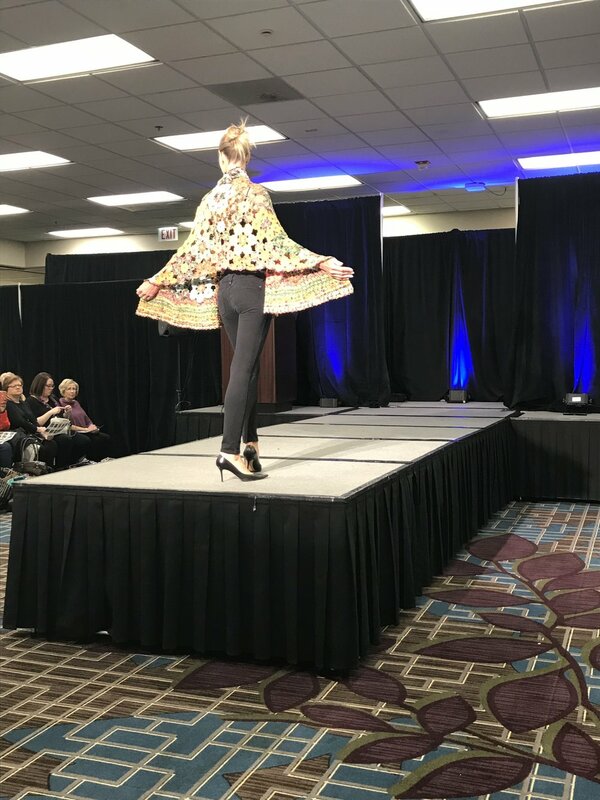 I have to say that even though it is a much smaller event than VKL New York, Chicago Vogue Knit Live was still a fantastic experience and the Vogue team is top notch. It is hard not to compare because I was just in NYC at Vogue... they are so different and on its own I really enjoyed the Chicago event. 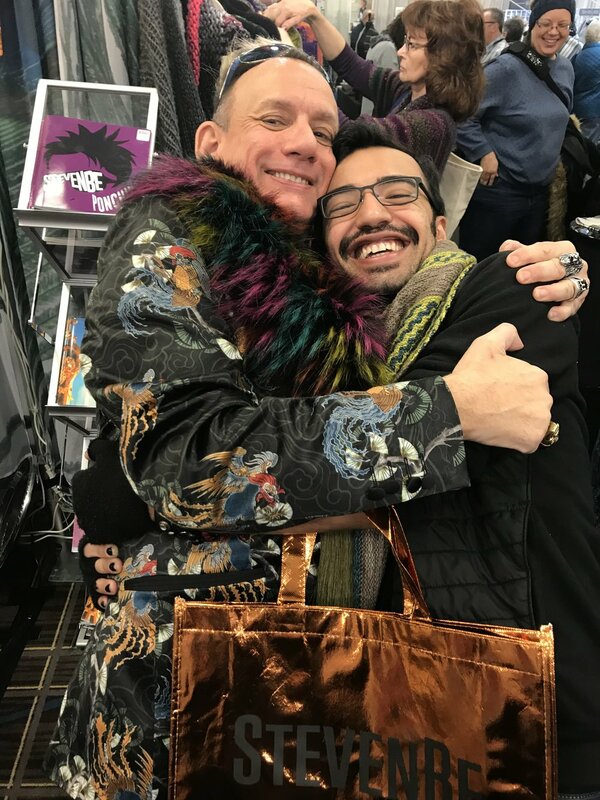 I will definitely go back if Vogue returns to Chicago though I hope they will plan more in advance and bring more offerings.